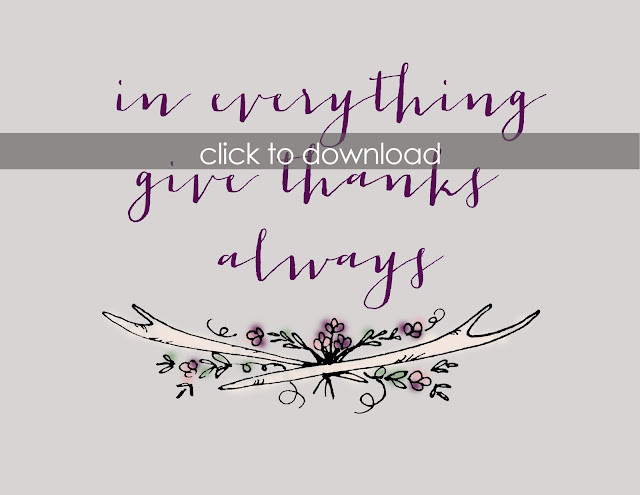 As mentioned in previous posts, I find printables such a wonderful way to brighten a room and especially during the holiday season. You may remember this printable from a few weeks ago. 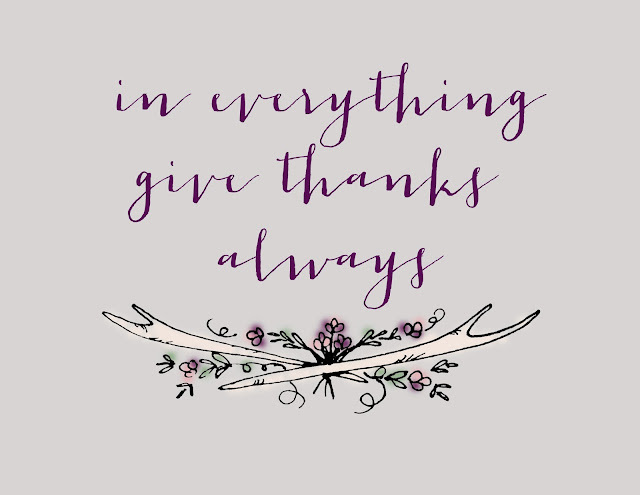 No matter what difficulties you experience in your life always remember to give thanks. Something happens inside of us when we take our attention off of our problems and put them on our God who is all powerful and more than able to meet every need. Faith begins to rise in our hearts and we all know that "without faith it is impossible to please God" (Heb. 11:6). Be encouraged today and "in everything give thanks" (1 Thess. 5:8).